Taylor-Made Deep Creek Vacation’s Chad and Laurel Taylor had the privilege of being the first people on the new breathtaking adventure that Wisp Resort is now offering. High-speed, fun, and exhilarating, this 1 ½ hour spectacular adventure is perfect for nature lovers and thrill seekers alike, ages 10 and up. The Flying Squirrel Canopy Tour allows you the unique opportunity to zip through the treetops on a network of cables and adventure skybridges suspended high above the forest floor. Overlooking Deep Creek Lake, Wisp Ski Resort and other nature flora of Western Maryland Forest, this adventure is spine-tingling and awe-inspiring in one! Last night was the 8th annual Taste of Garrett County. There were a number of local restaurant and caterers at the event. My favorite was split between the sushi from Wisp and the cupcakes from Chanteclair Farms. We also enjoyed pizza, salmon, ice cream, crab dip, spaghetti & meatballs, and a whole list of other items. Needless to say I was extremely full and happy by the end of the evening. We ran into a number of good friends and people we have not seen in a while. Good times and Good eats, Taste of Garrett County will definitely be on my calendar for next year! 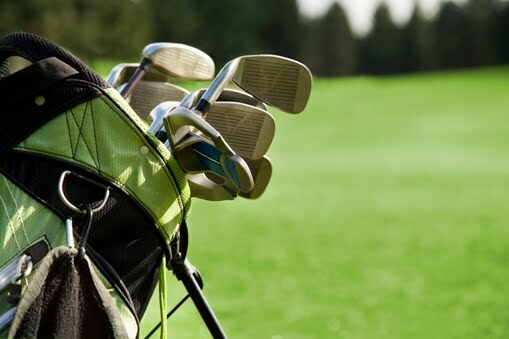 Stay with Taylor-Made Deep Creek Vacations and get a great deal on golf. Affordable mid-week and weekend packages for the championship course at Wisp Resort can be added to any reservation, or choose a home that includes 2 Free Golf Packages.